Key information about the types of compensation you may be able to claim when making a dental negligence claim. Making a claim for dental negligence is not a common occurrence for most. I am frequently asked by my clients what compensation they may be entitled to and how their compensation will be calculated. Here I consider the main types of compensation you may be able to recover when pursuing a claim for negligent dental treatment. 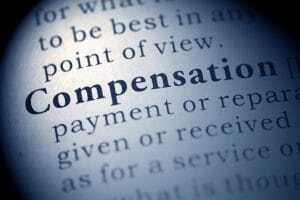 WHAT DOES AN AWARD FOR COMPENSATION AIM TO DO? In negligence, the aim of the award of compensation is to put you in the position you would have been prior to the negligent treatment. Of course, it is impossible to take away the pain and suffering associated with negligent dental treatment but a financial settlement can reimburse you for treatment you have paid for which was substandard and can also ensure that you can fund the restorative treatment you may now require as a result of the negligent treatment. The amount of compensation that can be sought depends on many different factors including the injuries suffered, the long term prognosis and whether any future treatment is required as a result of the negligence. 2. Special damages for your financial losses. Awards of compensation under this head are designed to compensate you for the pain and suffering attributable to the negligence. • how the injury has affected your day-to-day life, e.g. enjoyment of your hobbies, socialising, employment, etc. There are guidelines set out by the courts in England & Wales which dictate the range of compensation that can be awarded for specific types of injury. We use these guidelines and previous cases with similar injuries, in addition to the evidence of the independent expert and your own account of the treatment you received, to advise on general damages. When pursuing a dental negligence claim, you are entitled to recover all expenses reasonably incurred as a result of the dentist’s breach of duty. Quite often, by the time we are dealing with the claim our clients have already had to undergo corrective or restorative treatment or they may need to be reimbursed for treatment which was not performed properly in the first place. As with treatment costs already incurred, you can seek to recover the cost of future treatment that is likely to be required as a result of negligent treatment. For example, where a dentist’s negligence has led to the loss of a tooth we will usually be able to recover for the replacement of the tooth with an implant and the ongoing treatment that is required as a result. Often there are further future replacement costs, such as replacing an implant every 10-15 years and additional costs for regular X-rays which are required as a result of the substandard treatment. There can be many other heads of loss, such as such as travel expenses, loss of earnings, prescription costs and painkillers, amongst others. We encourage our clients to keep hold of receipts wherever possible as this makes it easier to evidence the losses and ensure the costs are recovered in full. Each dental negligence claim is different and each client may suffer different losses as a result of the injuries they have suffered and therefore there may be other losses which are not set out here. We explore carefully with every client what their specific losses are to ensure we claim the maximum amount of compensation for them. If you have any questions about dental negligence compensation then please contact me or one of my colleagues in the dental negligence team for further advice.